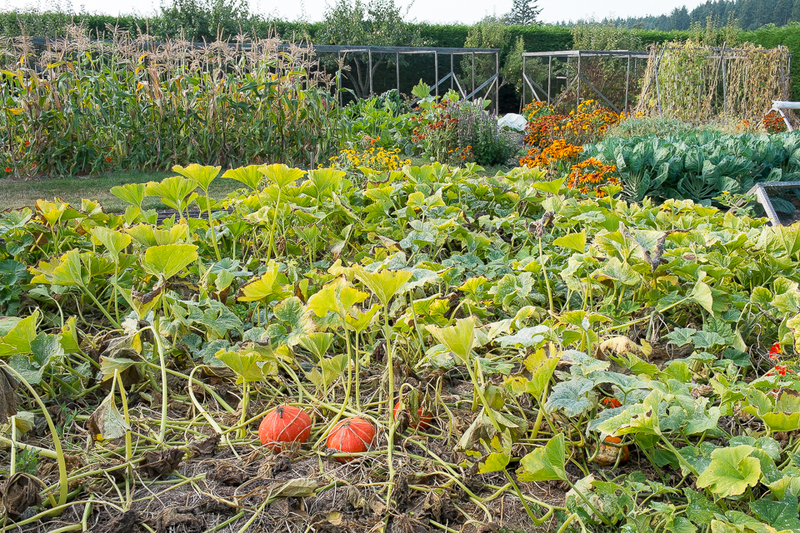 This entry was posted in Fall/Winter Vegetables, Summer Vegetables and tagged end-of-season harvest, harvesting dry beans, how to plant cover crops, storage vegetables, when to plant cover crops by Lopez Island Kitchen Gardens. Bookmark the permalink. I think you display the beauty of the garden in all its incarnations. Seeing the rich soil and gravel lined paths and the texture of the drying beans is as lovely as the full and lush garden we saw a couple months ago. I too am ready for the break- and will be chomping at the bit come Feb to do it all again! I’m going to take note of some of those bean varieties. Great to see you last week. Thanks again for your wonderful contributions to Lopez Island! At dinner tonight my house mate said he loved the early evening darkness, i said, Yeah thats because you spent the last two winters in southern India. I think winter on Lopez is actually really nice. It is so quiet and peaceful. Hi Debby… your very recent posting, “ End-of-Summer Harvest “ was one very fine piece of writing… not a hint of resistance as I wallowed in the words…. Good morning Debby and again thank you for your excellent narrative. My questions are: 1.) 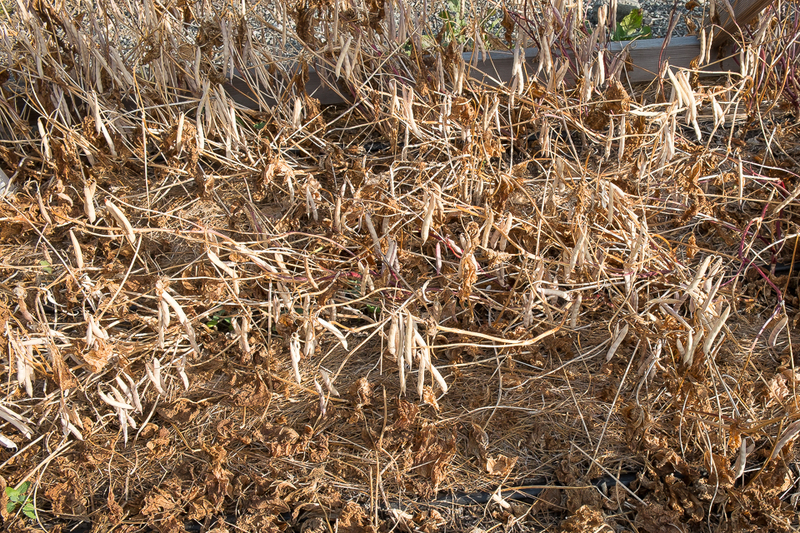 It looks like you let so many bean pods dry on the plants. How many viable seeds do you plan to harvest from them? 2.) Where do you purchase the rye seed for your cover crop? How do you keep the grass from invading your garden beds? Two things have helped keep grass out of the garden beds. One is mulch. 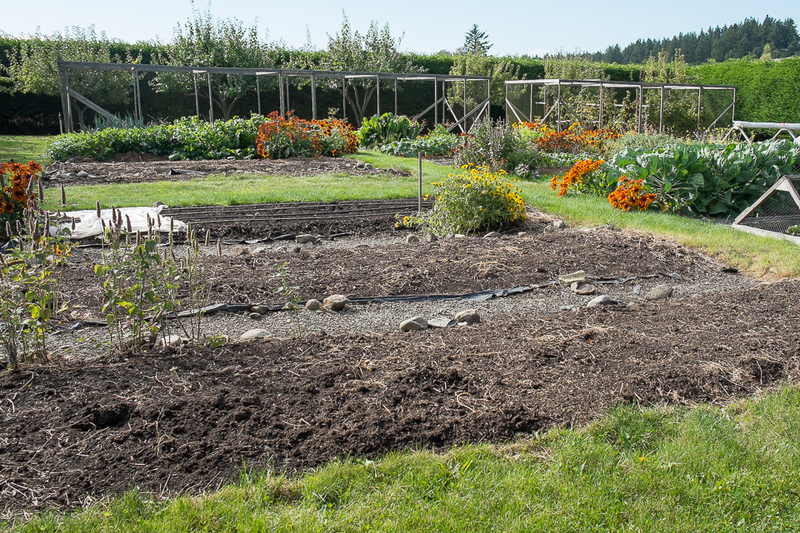 I mulch just about every row of crops in every bed, especially the edges of the beds. Mulching the edges seems to discourage grass from invading the soil of the beds. The other is edging. We edge the beds once a year, usually in spring when most of the beds have only the end of the winter crops or cover crops in them. 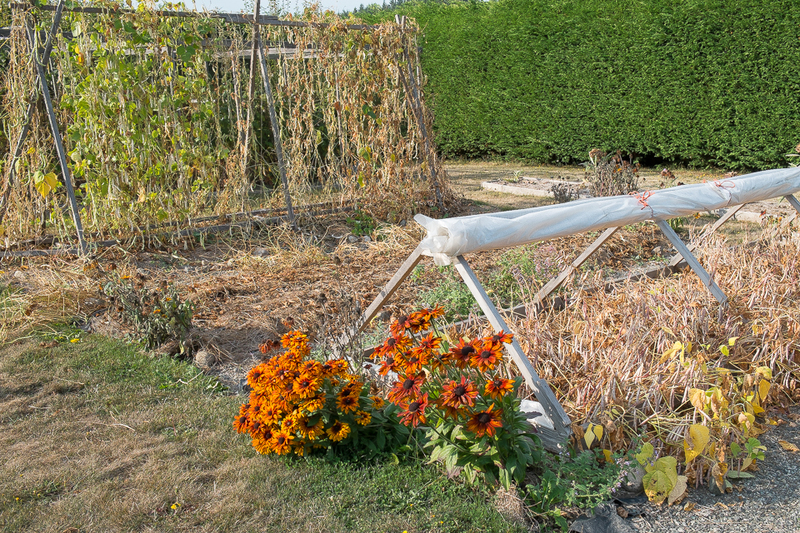 The goal of edging is to keep the beds at the original 5×18 foot size. Once a year seems to do the trick. I’d like to offer praise and thanks for sharing your garden. I live over the other side of the world in the Australian Outback so our environments are ‘worlds apart’, however our joy and passion for gardening is shared. I always look to your garden as what’s to come as far as seasons go. You seasons are slightly different, I have a very dry more hot Mediterranean style environment with summers so hot that production turns more to survival. I really enjoy coming to your site and seeing your garden – just beautiful. I am a Horticulture Science student in northeastern Maryland. I just ran across your wonderful blog and have to say how much I love the gardening information and inspiration you offer. Your pics are amazing; I enjoy how your images add so much to your narratives. I would very much like to utilize some of your cold frame images for a pdf presentation on Cold Frames I’m giving for my Sustainable Horticulture class. I need to show that I have approval of all images I use but I understand if not. So many people in my class didn’t even know what a cold frame was! I want to show them what can be done.